As engineers we take pride in providing our clients with innovative engineering services focusing on improving and increasing reliability, safety and efficiency of new or existing electrical distribution systems. 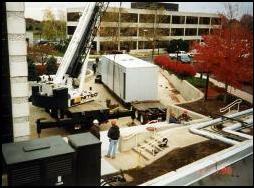 No matter how large or small the job, we work to find you the most efficient and cost-effective solution. We are LEED accredited and have a thorough understanding of green building practices and principles, and the LEED Green Building Rating System. What separates us from other firms is our commitment to the client and our consistent work as a team. From Power System Testing to Design and Installation, we can support the largest job or handle the smallest detail. Being involved with every aspect of electrical distribution systems sets us apart from other traditional A/E or consulting firms. We have first hand, at risk, exposure to the materials and equipment from major manufacturers. Through this “hands on” approach we have been involved with many different design theories and applications benefiting our customers with reduced costs and improved functionality. All of our designs must meet your project’s goals and simply put, give the client what they want. We are licensed in New Jersey, New York, Pennsylvania, Rhode Island, Virginia and Maryland.